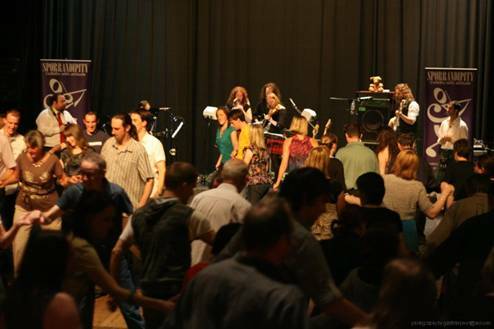 A hot Ceilidh band based in Edinburgh, providing a full package of Ceilidh music. Includes caller, humour, volume and beats for dance, entertainment and memories. With a subtle fusion of celtic, country, rhythm and blues and a song that’s done more than 500 miles of military two step service, there is an infectious toe tap that you’ll be talking about for weeks afterwards. 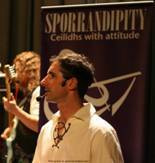 To hear some clips of Sporrandipity playing live, click here. There are lots of traditional ceilidh dances. We play all the most common ones and a few of the uncommon ones. We supply a caller who keeps things running smoothly and who will teach you the dances as appropriate. Our caller is not one of our musicians. This means that he can spend his entire evening on the dance floor, making sure that the dancers know enough about what they’re doing to enjoy themselves. He will teach all of the dances we do if necessary or will stand back and allow you to dance without interference if you know what you’re doing. We can also supply demonstration dancers who will show you how the dance is done and who are available to dance with those who want to have a go but who would rather have a partner who knows what they are doing. We don’t care if you don’t dance it properly. We do care about you enjoying yourself. We regularly play all over Scotland, and have had many clients outside Scotland including in Banbury (Oxfordshire), Selsey (West Sussex), Rhyl (North Wales) and even Mumbai (India). We can provide interpretation services in French, German or Spanish so your guests will always understand what the caller is saying and can learn how to do the dances. We’re not afraid to travel to play a ceilidh. Just ask us for a quote. 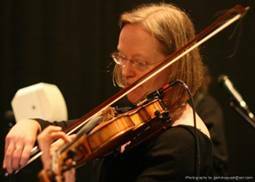 If your event requires more than just a ceilidh band we can help with all other areas as well. We can provide DJs, lighting systems and live bands for other styles of music. We have links with companies who can provide bars, catering, room decoration, fireworks, ticketing, marketing, publicity and anything else you need to make your event work. We know the right people. If you are a member of Sporrandipity click here to access some of our administration files.